Malaysia – Maxis and Astro have collaborated yet again in taking the ‘RM1,000,000 Money Drop’ game show to the web. The game show collaboration marks a first between a telco and a TV broadcaster, also making the game the first interactive online game that can be played simultaneously with a live TV programme. To play the web game, available till 15 March, participants are to register for an account and purchase game credits via SMS. They then have to answer a series of multiple choice questions to win prizes. Via the play along web game, participants can play the game simultaneously with the game show as it is being aired live on TV. This simultaneous method is also the first of its kind in Malaysia, allowing participants to play on iOS devices such as the iPhone and the iPad. 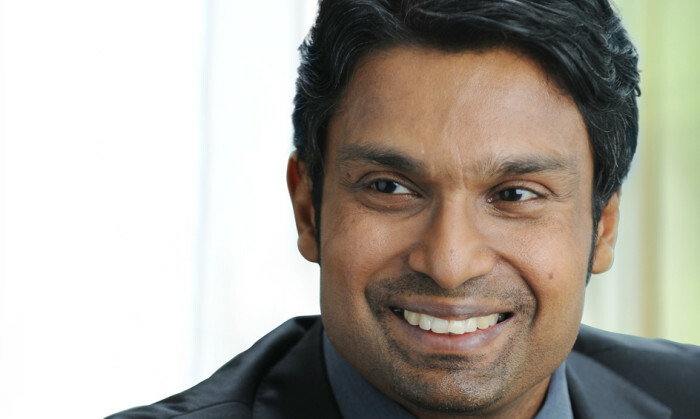 T. Kugan (pictured), Maxis’ head of product, device, innovation and roaming, said that the collaboration will see the web game being available to its customers via smartphones, tablets, laptops or PCs. “At Maxis, we are always looking beyond offering our customers traditional mobile services and are eager to extend new experiences across other platforms, including the web,” added Kugan. The ‘RM1,000,000 Money Drop’ game is based on the TV game show of the same name which currently airs on Astro Ria, Channel 104 and Astro Mustika HD, Channel 134. Aiming to build brand awareness in India, Klook offers promotions to Indian travellers flying Cathay Pacific or Cathay Dragon on i.. The former CEO at Omnicom Media Group Hong Kong Jackson Kwok has recently joint a newly formed company X Horizon Group to serve as.. The consultancies are Brand Union, The Partners, Lambie-Nairn, Addison Group and VBAT. .. Meanwhile, Apple recorded a US$62.9 billion revenue this year, a 20% increase from last year. ..